How much is Daymond John Worth? Daymond John net worth: Daymond John is an American businessman, fashion designer, author and television personality who has a net worth of $300 million. 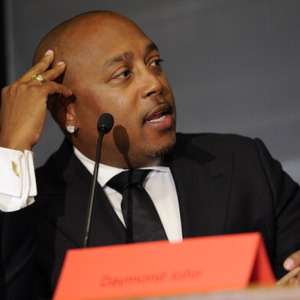 Daymond John earned his net worth as the founder, former CEO and president of the urban clothing brand FUBU. FUBU, which stands for "For Us By Us" was a highly successful fashion company in the 90s and early 2000s. The brand's popularity has since waned. 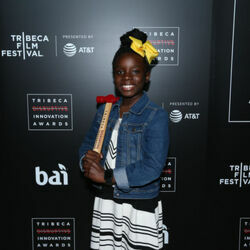 FUBU was primarily focused on manufacturing hats, accessories and clothing aimed at a young urban consumer. Daymond founded the company in 1992 in order to sell $10 knock-off hats from a street corner in New York City. 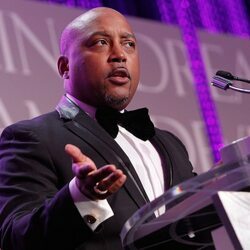 When the company was still young, Daymond worked as a waiter at Red Lobster to support himself and his business. Seeing the passion and potential in her son's eye's Daymond's mom famously mortgaged her house in order to raise $100,000 worth of startup capital. Within six years of being founded, FUBU was generating more than $350 million a year in revenue. To date, FUBU has earned more than $6 billion in worldwide sales. Daymond John is also famous for appearing as a judge on the television series Shark Tank and as the author of Display of Power and the Brand Within. He was born in Brooklyn, on New York February 23, 1969. John has invested more than $7.5 million in businesses appearing on Shark Tank. As a part of the show he won Primetime Emmy Awards for Outstanding Structured Reality Program in 2014, 2015, 2016, and 2017. 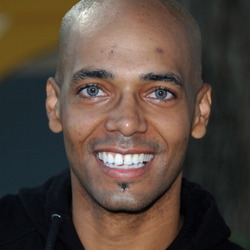 John also executive produced the 2005 film The Crow: Wicked Prayer. His company FUBU has been featured at the Smithsonian's National Museum of African-American History and Culture. John is a brand ambassador for Shopify. He has won many awards including being named an NAACP Entrepreneur of the Year, Ernst & Young's New York Entrepreneur of the Year, and a two time Congressional Achievement Award for Entrepreneurship.